My buddy Jay Braswell sent me some classic photo's I have to share with you..they are too good. 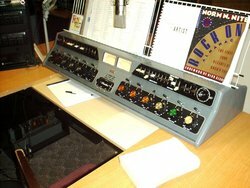 WCEH had a "B" model Gatesway console (squared corner Simpon VU meter) an early Gates FM with Audimax and McMartin monitor, a GE limiter and Gates Mod monitor for the AM and the big beautiful Gates AM 1 F transmitter. What a view. But notice where the cart machines are...mounted below the console desk top. Now that is cool! 5 Criterions, 3 carosels, time announce and all the "goodies" plus two 55's. I have to tell you about the workings of these Quincy marvels someday. Jim Popwell (whose Dad owned WCEH back then, called me to verify the facts recently. thanks Jim. 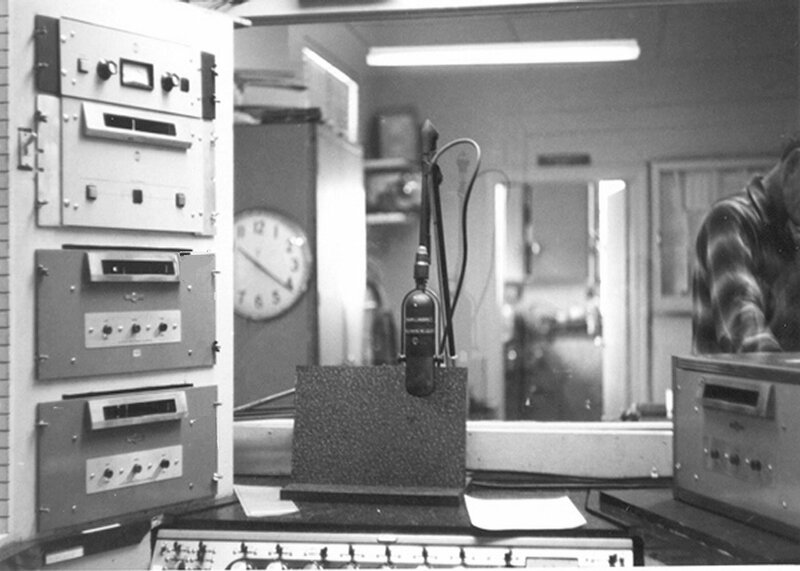 Here's the AM before that new fangled FM came along. 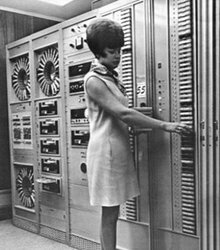 Probably an SA 40 console, a pair of Collins P 190 cart machines to the right of a good old Ampex 600. Up on top some Gates CB 100's with Gray Research 106 and REL Para Flux lateral groove arms in back. The Gray arms no doubt had GE Variable Reluctance cartridges in them. 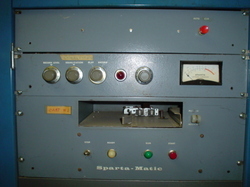 Notorious collector Bob VanProoyen in Grand Rapids has this item, and it's earlier buddy a SPOT O MATIC that look basically the same. 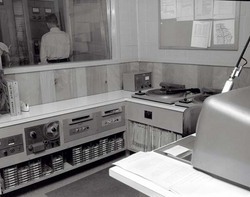 I borrowed the shot below from the web, this shot of the WPTR transmitter studio in April of 1969. Its Collins/ATC city in there, all running to a "Yard" mounted below, and of course a classic 77 to speak into..The top right machine is a Collins 642 recorder, below it are Collins/ATC PB 190 players, and on the right another. For the younger members out there, ATC (Automatic Tape Control) evolved into ITC - International Tapetronics Corporation. This is a Gates Dualux I restored in 2001. Everything is original, except it secretley has stereo pots in it now, and I added a headphone volume control where the high pass filter was. Don't tell anyone. 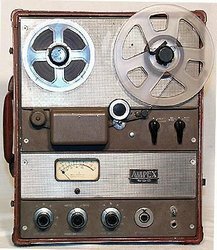 We owe a lot to Alex P and his staff at Ampex in Redwood City, we also owe a lot to ol' blue eyes Bing Crosby for putting up the cash for the research to make tape recording possible and affordable. Before Orban, Omnia, CRL, Innovonics, Knatt-Hinds and before DAP even...there was the TUBE CBS Audimax. Before that there were SA-39's, Sta levels, and Collins boxes, all of which I will gladly accept as donations.